Bullying affects all of us. Whether we are bullied, bully others, or witness bullying, it can keep us from appropriately expressing how we feel and being who we want to be. Bullying can make us feel unsafe, unwelcome, and alone. But you’re not alone, and you’re not powerless to make a change. There are people who can help. As a student, you can make a difference by recognizing bullying when you see it and then taking appropriate actions to stop it. 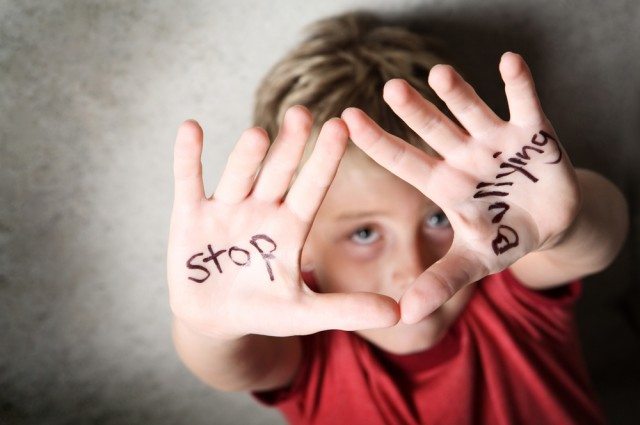 Bullying is ANY hurtful behavior that is done on purpose to harm another person. Bullying can take many forms, such as verbal, physical, relational and cyberbullying. It can make kids feel scared, lonely, embarrassed, sad and even sick. The first thing is to stay safe. That might involve simply avoiding contact with your bully or not engaging with the bully. Talk to someone you trust and seek help from an adult. Report cyberbullying and keep evidence such as emails, texts, posts, etc. Do not respond to the cyberbully and block them if the bullying continues. What if I see bullying happen? If you're a witness to bullying, it's important to remember there are no innocent bystanders. If you laugh at the bully or egg him on, you're a bully too. Take action by doing something to help get the victim away from the bully or report the bullying to a teacher or other adult. Reference: American Psychological Association online article: How parents, teachers, and kids can take action to prevent bullying. Content contributed in part by Erica Maniago, Ph.D.